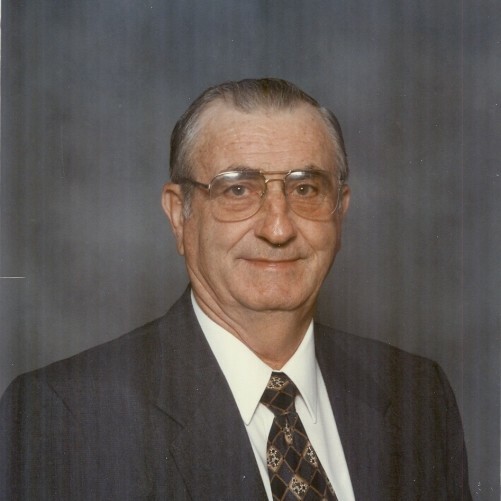 Herschel Needham Hockett Jr. died peacefully in the Crossroads Retirement Community on April 8, 2018 in Asheboro, North Carolina at the age of 88. Mr. Hockett was born in Randolph County on February 20, 1930 to the late Herschel Needham Hockett and Willie Stanton Hockett. Needham, as he was known to most, is survived by son Kenneth Hockett of Randleman, NC, son Roger Hockett and his wife Deborah of Davidson, NC and son Edwin Hockett and his wife Sherry of Sophia, NC. Also surviving are his brother Stanton Hockett of Randleman and sister Hallie Gibbs of Greensboro, NC. Needham’s surviving grandchildren include Gregory and Brian (Kenneth), Tyler (Roger) and Eric, Chris and Andrew (Edwin). He had seven great grandchildren. Needham is preceded in death by his beloved wife Joyce Marie Hockett. Needham Hockett was a lifelong resident of Randolph County, growing up on the family farm which became Green Valley Farm. The first half of Needham’s life was spent working the farm with his brother Stanton until the early 1970s, when he left to start his own business, Hockett Enterprises. Hockett Enterprise started as a welding shop that eventually became a successful heavy equipment grading and excavation business. All over Piedmont North Carolina one can see lakes, farms, business properties and homesites he created with his equipment. Needham’s entrepreneurial spirits grew in the 1980’s when he earned his contractor’s license for residential construction. He built several houses in Northern Randolph but he was always most happy carving the piedmont soil with his dozer. Another passion of Needham’s was the world of old cars, trucks and tractors. He enjoyed all types, and owned several over the years but enjoyed most a red ’59 Cadillac. He loved his family and friends, especially his church family where he was a member of Cedar Square Friends Meeting. A service to celebrate Needham’s life will be held on Thursday, April 12th at 2 pm at Cedar Square Friends Meeting with Mike Butler, Pastor of Cedar Square Friends Meeting and Ben Hurley, Pastor of Bethel Friends Meeting, officiating. Entombment will follow in Randolph Memorial Park Mausoleum. The family will receive friends on the 12th, at 12:30 to 1:45, prior to the service at the church. Memorials in Needham’s memory may be directed to Hospice of Randolph County. The family would like to express thanks to Crossroads Retirement Community and Hospice of Randolph County for their care over the last year. Online condolences may be made at www.cumbyfuneral.com.